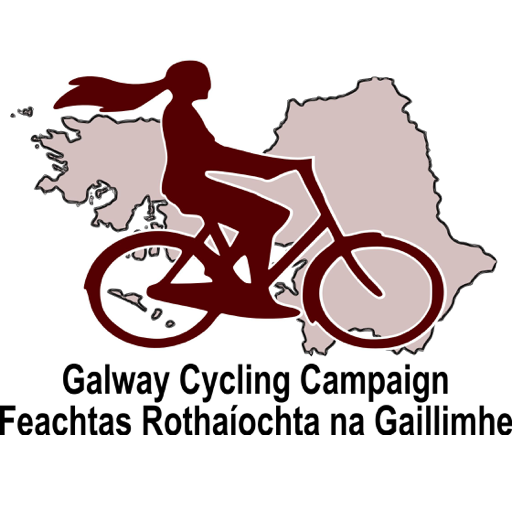 The Galway Cycling Campaign is to seek clarification from the Gardai regarding statements at variance with the law reported from a recent County Joint Policing Committee (JPC). In its November 10th edition the Connacht Tribune ran a story reporting that Chief Superindentant Tom Curley had claimed before the JPC that it is unlawful in Ireland for cyclists to cycle side-by-side. He is further reported to have made comments regarding risking life and limb in passing cyclists. The Galway Cycling Campaign understands the traffic law in Ireland to be as follows. 1. There is a primary duty of care on all road users under Article 67 of the the Roads Act 1993 to avoid personal injury or injury to others. There is also a duty to avoid damage to property including personal property. 2. Under the traffic and parking regulations (SI 182/1997) overtaking may not be carried out in a manner that creates risks to others. 3. Under the traffic regulations, cyclists are entitled to cycle in twos side by side. Two cyclists who are cycling side by side may be overtaken by a third cyclist. Cyclists who are cycling side by side and need to overtake other traffic should go in single file to do so. In our understanding this means that people on bicycles are not obliged in law to permit others to act in a way that places the cyclist’s person or their property in danger. Such as inviting unsafe overtaking manoeuvres at unsuitable locations – of which there are many on Irish roads. On many narrow roads, if it is not possible to overtake two cyclists safely without using the other lane, then the same applies to single cyclists. A key piece of advice for all cyclists is to avoid getting too close the edge of the road. This is due to the danger caused by poor road surfaces and hazards such as drainage grates. Cycling safely requires taking adequate road space. Overtaking cyclists safely also requires taking adequate space. Furthermore there is a view among those cyclists who train in groups that going side by side makes overtaking by other drivers safer and easier by shortening the length of road needed. Clearly like other vehicle operators cyclists need to be mindful and considerate of others and avoid causing obstructions without due cause. However whenever there is a tension between safety and courtesy safety must come first. Section 67 Road users’ duty of care. 67.—(1) It shall be the duty of a person using a public road to take reasonable care for his own safety and for that of any other person using the public road. (b) damage to property owned or used by him or by any other person using the public road. 47. (1) A pedal cyclist shall not drive a pedal cycle on a roadway in such a manner as to result in more than two pedal cyclists driving abreast, save when overtaking other pedal cyclists, and then only if to do so will not endanger, inconvenience or obstruct other traffic or pedestrians. (2) Pedal cyclists on a roadway shall cycle in single file when overtaking other traffic. 10. (1) A driver shall not overtake, or attempt to overtake, if to do so would endanger, or cause inconvenience to, any other person. Sub head: Two bikes side by side on road is illegal Joint Policing Committee meeting told.